I was determined to visit as many Atlas Obscura places as I could on my vacation to Vancouver B.C. I managed three. One of the three was the Steam Clock in Gastown. Funded by the neighborhood merchants, it was built 1n 1977 as a monument to the city’s first downtown core. According to the Atlas Obscura site, it also served another purpose: placed over a steam grate above gas pipes, it kept local homeless from sleeping on this particular warm spot (due to the gas pipes under the city that heat downtown). I find this fact fascinating because while I was shooting this photo a man was standing next to the clock giving its history. He was very knowledgeable but as he was speaking I looked at him and thought, “something isn’t right here” and noticed his tattered clothing. At the end of his spiel he asked us to give him money. Look! 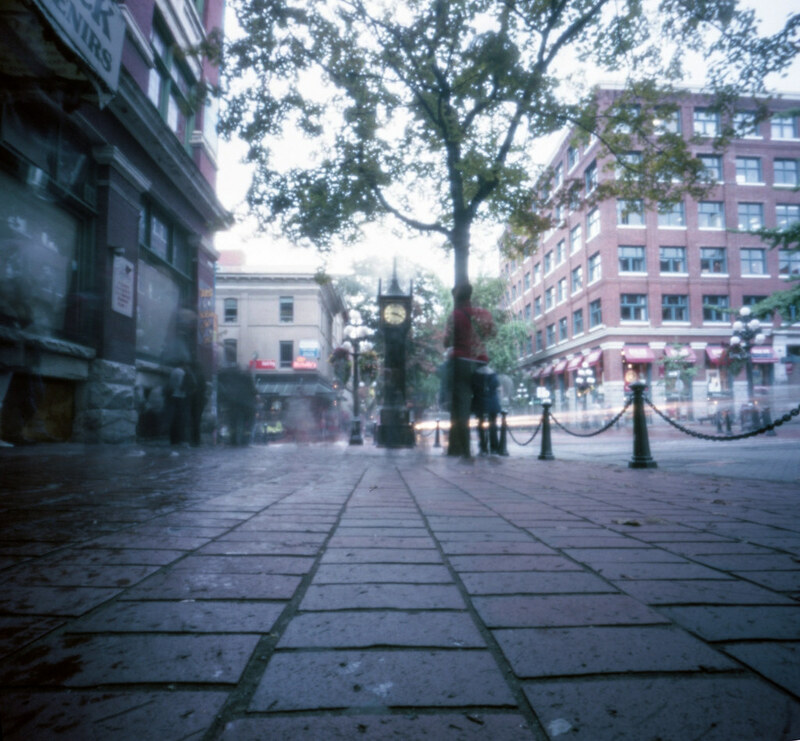 A post on Pinhole Obscura about a clock in British Columbia! I really love the viewpoint!